The tomato is a staple food in many of the world’s popular cuisines, from Greek to Mexican and countless countries in between. It forms the basis for a host of sauces and is great both cooked and raw. But just how healthy is it? 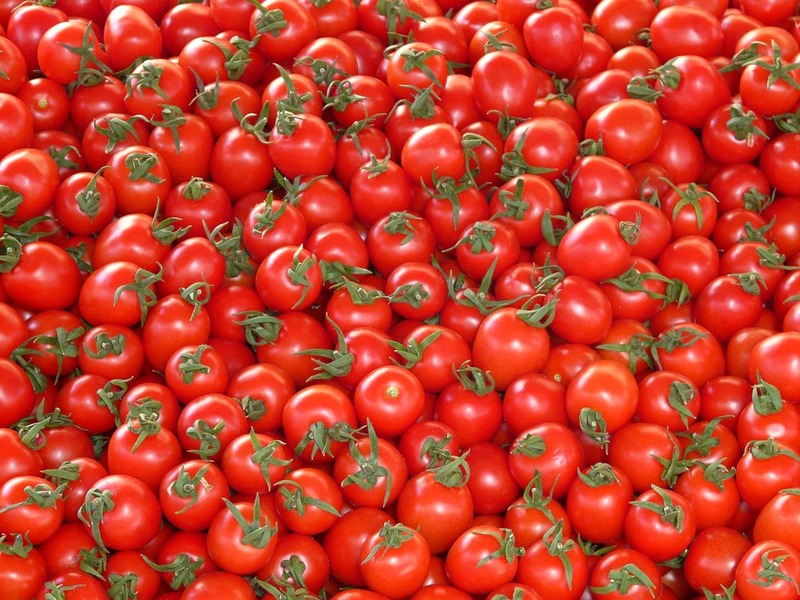 What are the benefits and nutrition facts of tomatoes? It doesn’t look or taste like a fruit and you probably wouldn’t want to slice it onto your oatmeal or make a cobbler out of it, but believe it or not the tomato is a fruit. In culinary terms, the tomato is often defined as a vegetable and this is okay. It’s not scientifically correct, but it makes perfect sense as tomatoes are used alongside and in place of vegetables. So, on the one hand it is a fruit, but on the other hand you shouldn’t be too quick to correct someone that describes it as a vegetable. They may just be as repulsed as the rest of us are with the thought of tomato ice cream or a tomato smoothie. There are a huge number of benefits of eating tomatoes. As mentioned above, a single medium sized tomato will give you more than a quarter of your RDA of vitamin C and a fifth of vitamin A. It’s also a good source of fibre, and all from just 22 calories. This naturally sweet fruit makes for a great addition to savory dishes, so the main benefit of eating tomatoes is that they are easy to work into your diet. The same can’t be said for health foods like Matcha Tea or Chia Seeds. The former has a strong, pungent taste that stands out, the latter can make dishes gritty. Tomatoes are basically a superfood that taste greet, are easy to cook with and are also cheap. If you live in a colder climate, where the only available tomatoes are bland, then try sun dried tomatoes or cherry tomatoes instead. 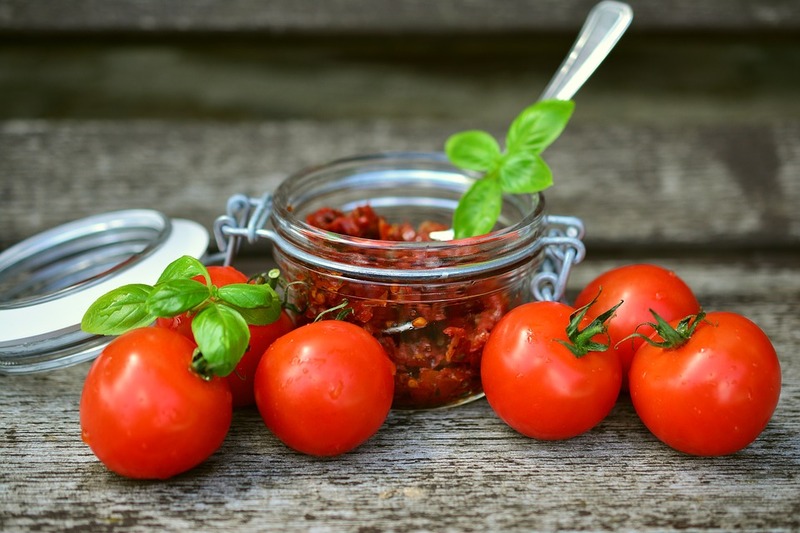 Sun dried tomatoes offer a higher concentration of a lot of the vitamins and minerals that make tomatoes so healthy and they are one of the best sources of lycopene, which is discussed in more detail below. They can be high in salt and are occasionally covered in oil though, so avoid overly processed sun dried tomatoes and always go for dried and packaged instead of brined and jarred. These wonder fruits are said to help with everything from heart problems to cancer and more. A diet rich in tomatoes can reduce your chances of getting cancer and heart disease. What’s more they are rich in essential vitamins and minerals, as well as antioxidants and fiber, the latter of which can help to improve digestion and to reduce blood cholesterol. As well as the vitamins mentions above, tomatoes also contain smaller amounts of minerals like copper, manganese and phosphorus, as well as a host of B vitamins that aid with cell production and can help to improve everything from your skin and hair to cognitive function. Make no mistake about it, the tomato is a superfood and it’s one of the cheapest, tastiest and most widely available. One of the reasons tomatoes are considered to be one of the world’s healthiest fruits is a substance known as lycopene. 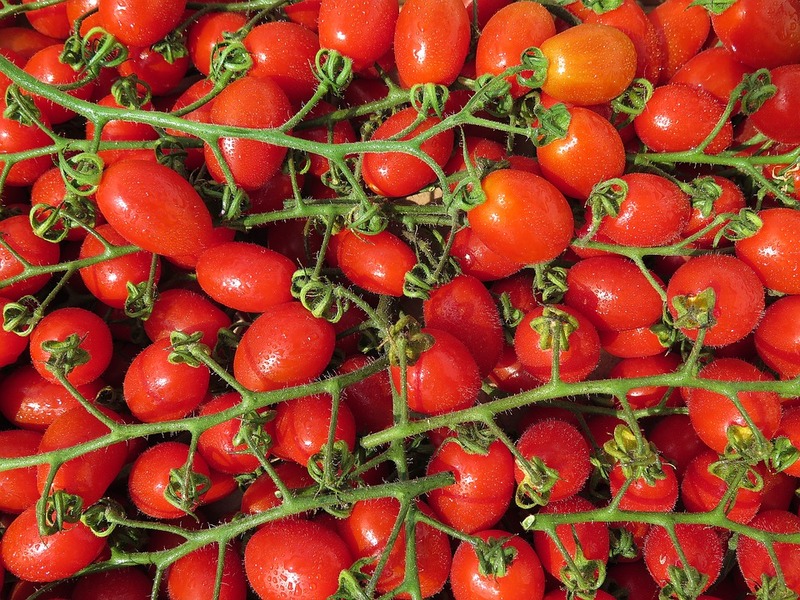 This can be found in many red fruits, including watermelon and papaya, but it’s at its strongest in tomatoes. It has been suggested that a diet high in lycopene is responsible for the low instances of skin cancer in countries like Greece and Italy. In fact, many of the regions that get a lot of sun and are therefore exposed to melanomas, including Mexico and many southern parts of the United States, eat a diet rich in lycopene foods, which may go someway to countering the threat of this form of cancer. Lycopene has been linked with a reduction in many other cancers, not just melanoma. In one study, a diet rich in lycopene correlated to a decreased risk of prostate cancer in men. As an antioxidant, lycopene can also fight infections and assist with overall well-being. Lycopene isn’t the only antioxidant found in tomatoes. There are several others, all of which provide additional benefits that assist with overall health. These include beta-carotene, which is found in many fruits and vegetables and is converted into vitamin A in the body; naringenin, which is a flavonoid that may be able to reduce inflammation and protect against disease; and chlorogenic acid, which may be able to reduce high blood pressure. If you are at risk of heart disease and strokes then this is an especially useful fruit. There are a lot of positive results coming out of clinical trials that go someway to proving the effectiveness of the properties of tomatoes. Going back to lycopene, one clinical study showed that it was effective at lowering LDL cholesterol, while other trials have found links between this compound and reduced inflammation. Hundreds of years ago, Europeans blamed tomatoes for poisoning wealthy aristocrats, thinking the fruit contained some kind of evil poison, when in fact it was simply too acidic for the tableware they put it on, with that acid leeching dangerous compounds like lead into the fruit and then passing these on to the diner. It got a bad rep and it suffered as a result. But this didn’t stop the Greeks and the Italians developing a passion for this fruit and thanks to their passion and the recipes they have passed down, we all can enjoy the taste and the benefits of the tomato.